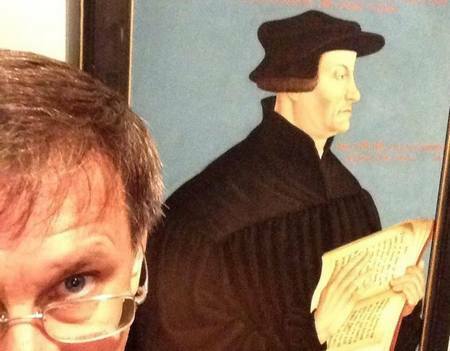 You don’t have to be a Christian to appreciate the blog of Jim West, Zwinglius Redivivus. Nor do you have to agree with everything he says to recognize that here we meet someone who is not only interesting, but manages to remain interesting. That’s not just because he’s funny. His real charm is that he has a clear, recognizable theme: while there are many people writing about Christianity, here’s a professionally trained theologian who understands the main issues, can offer context, and knows how to separate the good from the bad and the ugly. He’s not just a blogger, though. West is also pastoring in the Baptist Church in Petros, which is a small town in Tennessee. I’ve not been there – in fact, I have never met Mr West – but photos show a sober, no nonsense building; its website shows a Christian community that appears to be open to others and willing to contribute to its town.